Oh hi there, you must not be on an internet break like everyone else! Thank you for stopping by the Magic Nutshell. I was tempted to succumb to the political climate and write a post on trumpkins and evil clowns, but I will not. Because fall is my favorite season, and this is the year I vowed that the pigasus would take flight. At the beginning of 2016, I had a finished manuscript called Briars and Black Hellebore. By spring, a big league literary agent had requested the full. Some weeks later, my Pigasister Christina (of my writing group, The Pigasus Pen) convinced me that my book would be so much better if I lopped off half the material from the beginning and added in all the exciting conflict I had planned to use in a sequel. So I wrote to the agent who had requested Briars and let her know that I had given myself a rewrite assignment. She invited me to resubmit as soon as it's finished. Again. Meanwhile, there have been massive disturbances in the Force... of artistic creativity everywhere. The world feels ugly right now, and many people are hunkering down in various coping mechanisms. 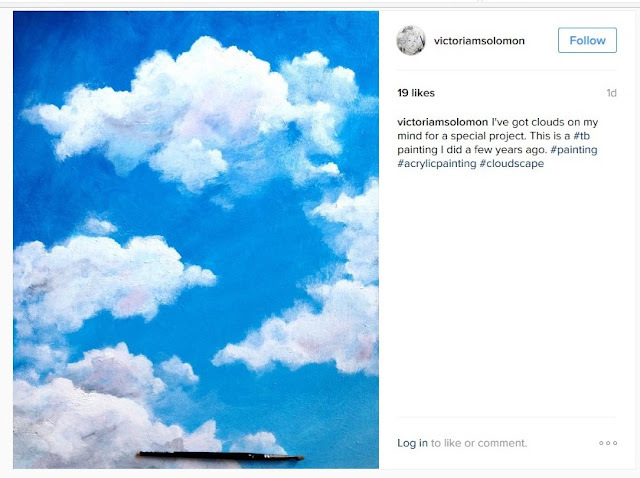 Pigasister Victoria is making cloud art that looks like a window to somewhere we can all breathe. 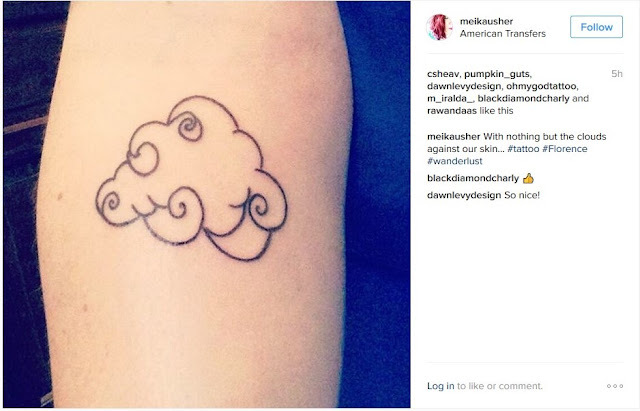 Meanwhile, Pigasister Meika is in Florence getting a tattoo of one of Victoria's cloud sketches. I pigshit you not! Girl is on a solo break from AMERICA right now, and I am so happy she is filling the interwebs with little window-glimpses of her travels. This is not to deny the horrors of the world but to show that they are not inevitable. Whatever sick crap is on the news, I can think of something worse. And better yet, I can think of something much, much better. Writing and reading are the spiritual practices that ground me in my inner strength, and now is the most important time for me to engage in them and share them with others. So here I am, all set up at my desk with my childhood copy of Perfect the Pig signed by LeVar Burton himself, from my favorite show, Reading Rainbow. The title page says, "Jean in the light. LeVar Burton." I just took a peek through LeVar's Facebook window to see what he's up to these days, and it appears that he is lounging in a rainforest in Panama and making rainbows for the No H8 Campaign. I LOVE YOU, LEVAR! How can anyone give up hope in a world that sustains the life of this man? I can't. And so I persist in writing my dark fantasy alt-history unconventional adult romance. May you always find a window... or the power to create your own. 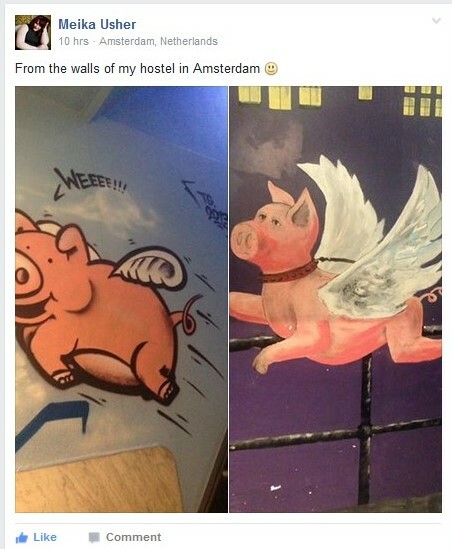 Ad astra per alas porci!